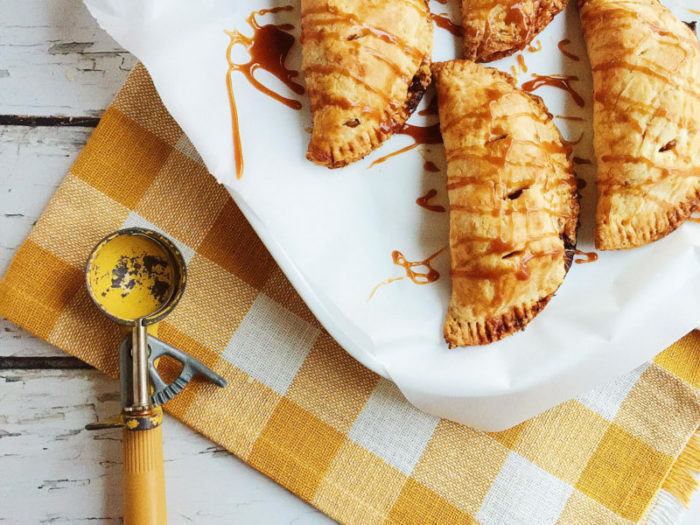 Salted Caramel Apple Hand Pies are a delicious, individually-portioned dessert. 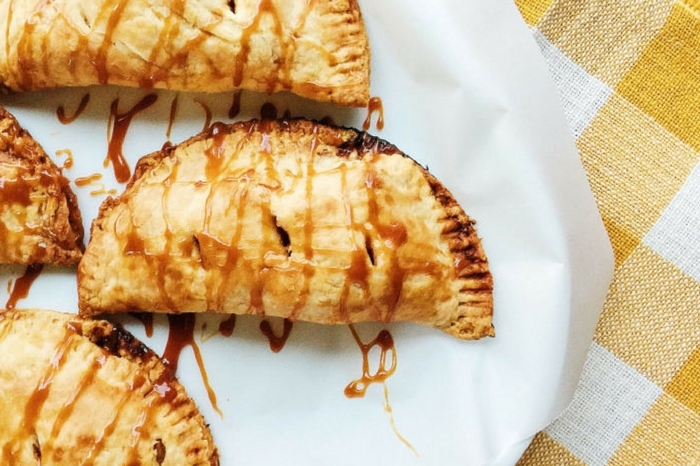 These pies have a tender, flaky all-butter pie dough and are filled with cinnamon apples and rich caramel. There is nothing like warm apple pie during the fall. 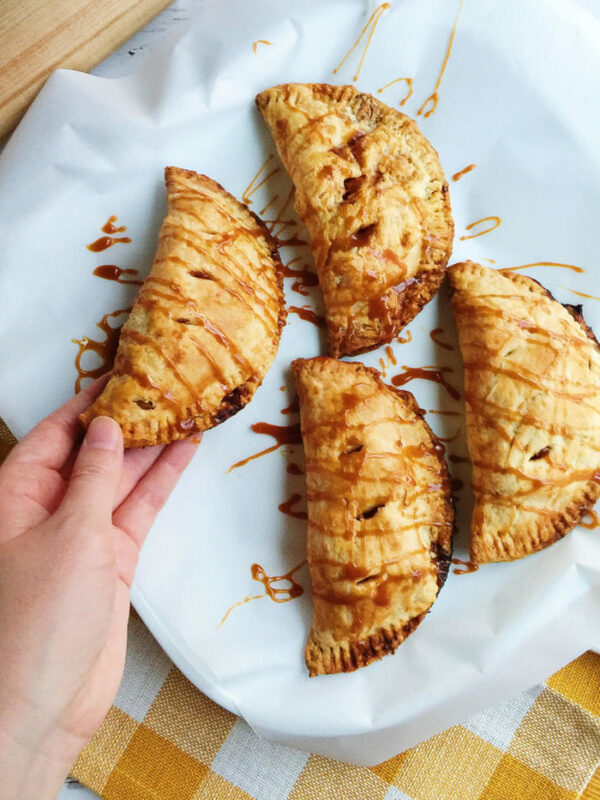 Except maybe individual caramel apple hand pies that you don’t have to share. Filled and topped with rich, buttery salted caramel sauce. In my 10+ years as a professional Pastry Chef, I must have made caramel sauce thousands of times. Not to exaggerate. 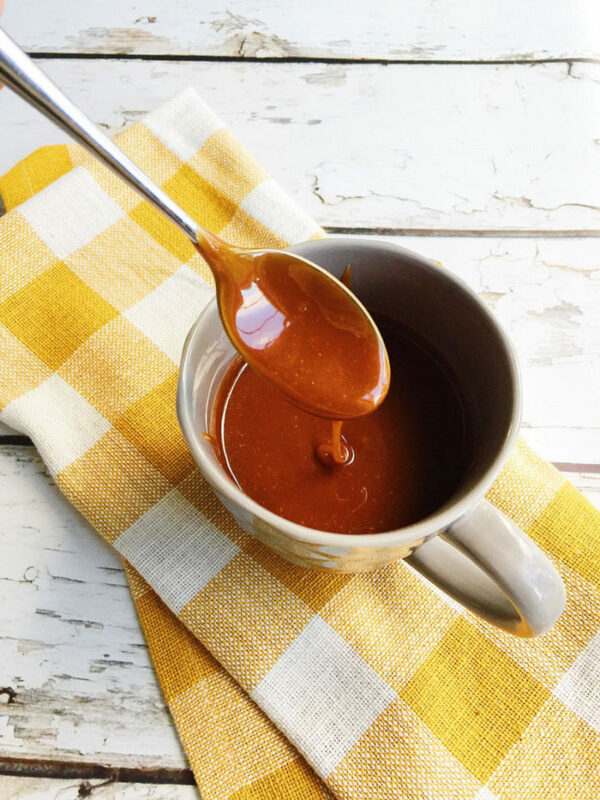 Caramel for chewy caramel candies. 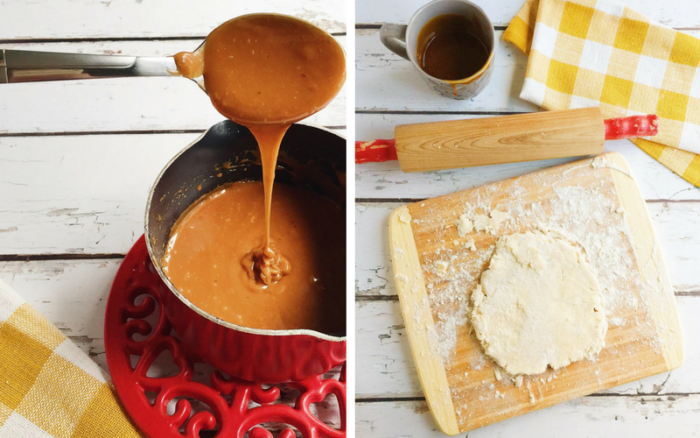 Buttery caramel sauce to pour over tarts, swirl inside homemade ice cream, or fill cakes. Caramel to make panna cotta or to spiral within cheesecakes. 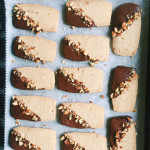 Caramel for warm apple and quince crisps and for filling centers of shortbread cookies. You get it. So much caramel. 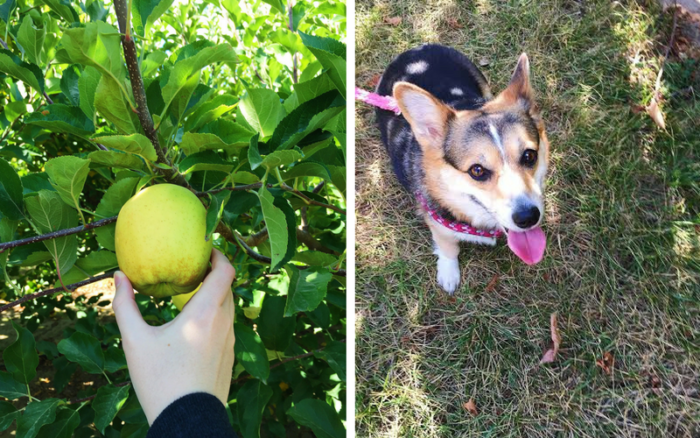 It is absolutely not fall to me until I go apple and pumpkin picking. Once that has happened, I can say that it is officially autumn. 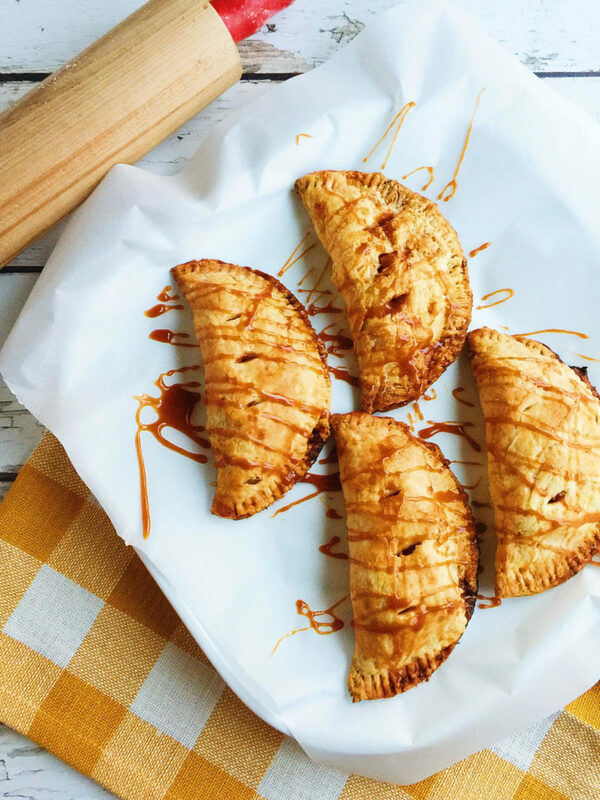 And then, naturally, I can use the freshly-picked apples to make these caramel apple hand pies. 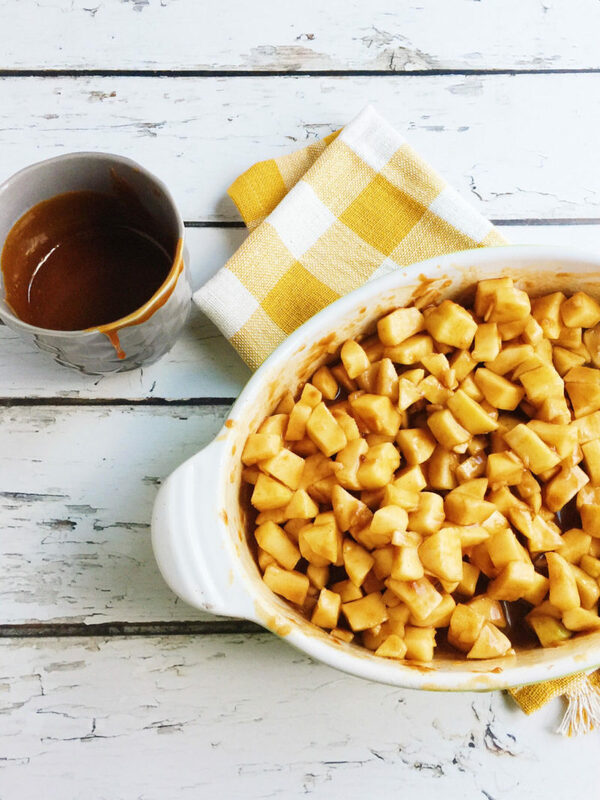 You can use your favorite baking apples in this recipe, although I think a combination of sweet-tart apples work best. 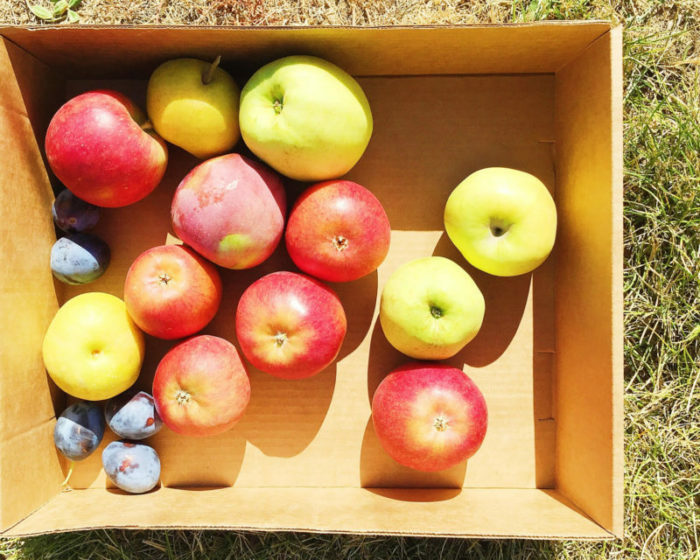 I used Fuji and Golden Delicious because that’s what I picked that day. 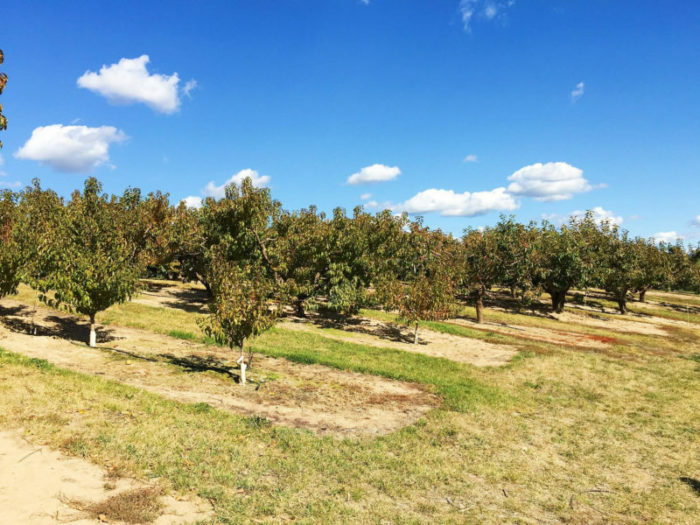 Jonagolds, Honeycrisp, Granny Smith, Braeburn, Cortland, and Gala would also work well. I’m a pretty big fan of hand pies. First: they’re adorable. Second: they’re self-sufficient, no need for pie pans or cutting. Third: I feel like everyone feels a little more special when presented with an individual dessert just for them. 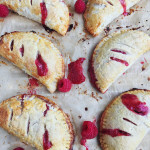 I use my go-to all-butter pie crust here, the same I used for my Strawberry and Rhubarb Hand Pies (the ideal summer version). 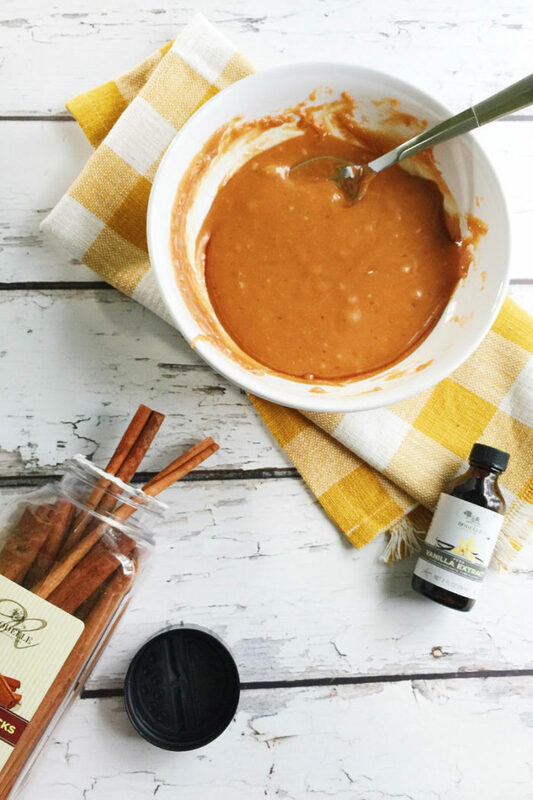 I use my trusted, favorite Rodelle pure vanilla (’cause it’s the best) and organic sugar, Irish grass-fed butter, and organic cream for the decadent caramel sauce. Hello, fall. I’m so happy you’re here. Combine flour, salt, and sugar in a food processor. Add cubed, very cold butter and pulse until butter is the size of large peas. Add 6 tablespoons of ice water and pulse until the mixture is combined and moist but not wet. Add additional ice water if needed. Remove from food processor and gently knead on a floured surface until combined. Split dough in half and plastic wrap each half, forming into a square. Chill overnight or for at least 2 hours. Sprinkle the sugar in a large saute pan in an even layer. Heat over medium heat. Do not mess with it or stir it at all. Once the sugar begins to dissolve and caramelize, start to stir where the sugar is caramelizing. Continue to stir the sugar until it is evenly dissolved and amber brown. Be careful not to let the sugar darken too much or burn. Once the sugar is evenly dissolved and caramelized, add in the room temperature butter and whisk vigorously until combined. Whisk until the butter is completely melted, then slowly pour in the cream while continuing to whisk. (Heating the cream slightly in the microwave will limit how much the cream bubbles up, but be careful as the cream will bubble when added to the hot caramel.) Whisk the caramel until it comes back to a boil and bubbles up slightly. Remove from heat and stir in the salt. Place in a bowl and allow to cool. 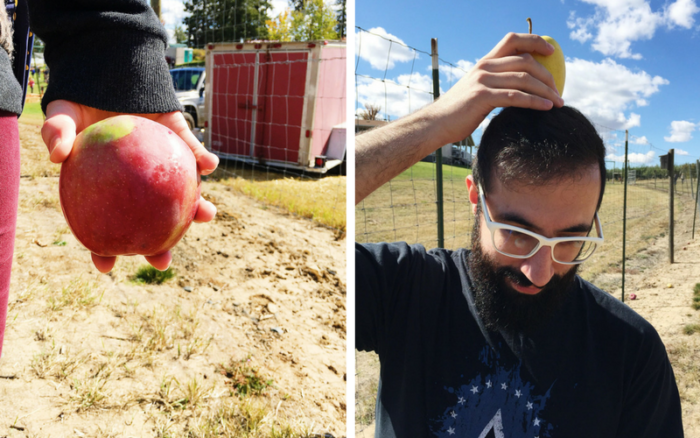 Peel, core, and dice the apples into 1″ cubes. Sprinkle the apples with the flour and the cinnamon, allspice, and nutmeg. Toss to combine. Add in the lemon juice, brown sugar, and about 1/2 the salted caramel (1/2 cup). Mix thoroughly. Remove pie dough from the fridge and let sit at room temperature about 10 minutes. Working with one half at a time, roll pie dough out on a well-floured surface until about ⅛ inch thick. 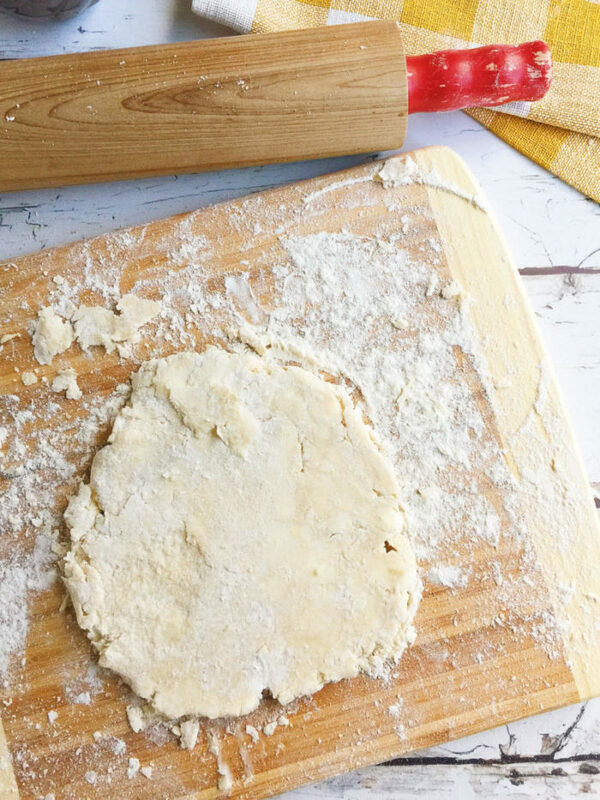 Using a 5″ round cutter (a cookie cutter, bowl, or pot lid will work), cut dough into 10-12 circles, re-rolling the scraps of dough not more than once. Egg wash (one egg + a splash of water mixed well) the entire edge of each circle. Add 2 tablespoons of filling to the center of each circle, folding one half over to create a half-moon. Seal the edges very well with a fork. Place pies in the freezer until cold, about 10 minutes. Remove pies from freezer and egg wash the tops. Cut three slits in the center of the pie. Let cool slightly before serving and drizzle with additional salted caramel sauce to serve. 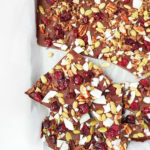 Is it possible to simply halve this entire recipe? I’m only making dinner for four, we don’t need twelve pies! 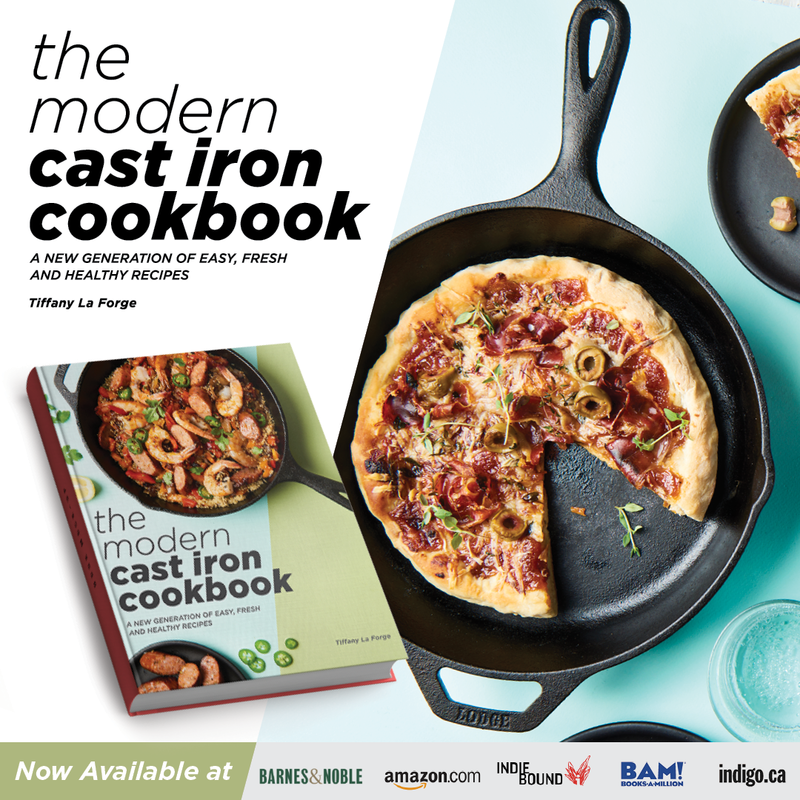 If I halve all of the ingredients, will it turn out the same? Hi Sarah. Yes, it should be fine. Let me know how it goes! 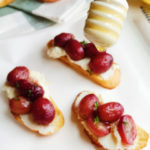 Hi, I was wondering if I could make these a day in advance for a party? Would I need to store them in the fridge overnight? Do you think they would reheat well before serving? They look amazing! Hi Alayna! 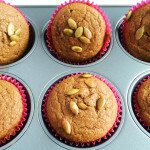 I would suggest forming these the night before and keeping them in the fridge, and just baking them the day of. However, I’ve definitely had a few leftovers of these that I have reheated the next day. I do keep them in the fridge in an airtight container and then reheat them in a 350 degree oven until warm. Let me know how it goes! 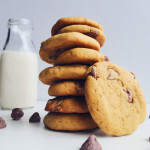 Hello, wondering if these can be frozen either before or after baking? Looking forward to trying these! Hello Krystal, yes! You can assemble these pies completely and freeze them before baking. 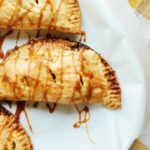 Your hand pies look so tempting, and the drizzled caramel puts them over the top! Those hand pies look bakery perfect. Mine never comes out that good. Bad with shapes actually. Oh wow you get me drooling..let me pick my chin up off my keyboard. These look crazy good..and must stay gorgeous photos! These look delicious. Hand pies (we called them turnovers) are very nostalgic for me. I have heard all of my family rave about my great-grandmother’s apple turnovers, and my grandmother likes to make them when we would go camping with her. Hi, Amanda! Apple turnovers for camping…yum! What a perfect treat. 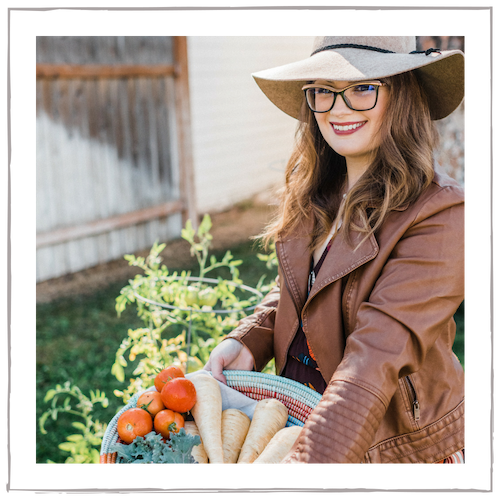 I love passing down family recipes, that’s so great that you have such a delicious and special family recipe! ? I love apple pie! These look delicious and almost too pretty to eat. YUM! This looks perfect for Thanksgiving 🙂 I might have to make these instead of the traditional apple pie! I can’t wait to make these!!! They look amazing! I am so hungry now after looking at all those delish pictures. haha. Thanks for sharing your recipe!